The features just keep on coming! We are delighted to inform you that managing all your customers just got a whole lot simpler and your job is getting a little easier. Tomorrow we will release a “Get Latest” Customers feature in POS. Click the “Get Latest” button and you will be able to get the latest customers from any of your Synk’d connected systems. The latest customer will appear in the first search results and in one tap you add the customer to the sale. A new customer comes into your pool shop requiring a water test. First step is you enter the pool and customer details into your Service Management and perform the test. The test results indicate the customer needs to buy some chemicals. Now switch over to POS and tap the "Pick Customer" button. Tap the new "Get Latest" button, if you have multiple systems choose the system you want to update from. Your customer will appear at the top of the list. Select the Customer and Classification and then continue on with your Sale. Download this update and you will be able to add a new water test Customer in your Service Management and then immediately add the customer to a sale in POS and complete selling the recommended chemicals. Get Latest is the best way to keep your systems updated so you can access the data you need when you need it. I want this feature. How do I get it? More great news; if you have updated your app it should be ready to go. If you need any help or if you have questions please contact support@cirralto.com.au and one of our team will help you through the process. In April, the team will release two exciting milestone features that make your job easier. The features will build upon the 'Get Latest' update and the recent match and link roll out. Your debtor Accounts Receivable balance will be checked and updated on demand. Simply add the customer to the sale and the status of their account will be checked and updated while you make the sale. You will be able to allocate payments to outstanding invoices and be certain of your Customers debt without opening your financial software. We will also release a batch billing and payment service. This will shorten your billing cycles, get you paid faster and simplify the processing of end of month customer billing. Accomodating those customers who want only one invoice for all work completed in the previous month. This is a game changer for end of month invoicing and automatic processing of customers credit cards that are stored in our secure credit card banking vault. To ask a question, get a demo or join our early adopter program drop us an email at sales@cirralto.com.au or give us a call on 1300 682 521. We are looking forward to taking you through these great new Accounts Receivable, Batch Billing & Direct Debit Pay Features. The PoolBox team are heading to Las Vegas for North America's largest pool and spa industry event, the International Pool, Spa and Patio Expo. The Expo runs from October 31 - November 2, and it expected to attract over 10,000 attendees and 500 exhibitors from over 80 countries. It’s a great opportunity to see the latest products in the market, up-skill in one of the many education sessions and network with other business owners in the industry. If you’re heading to the expo, make sure you visit us at stand 1026, see PoolBox in action and find out how we can help streamline your business. Haven’t got your tickets yet? Visit the event website to register and find out more. Are you a US based pool business looking to improve and streamline the way you operate? We're seeking a small group of beta testers, who will gain early access and the opportunity to give valuable feedback to shape the product roadmap. If you would like to be considered for this program, please send us an email. PoolBox is an integrated bundle of software applications to enable the management of all aspects of the pool business. 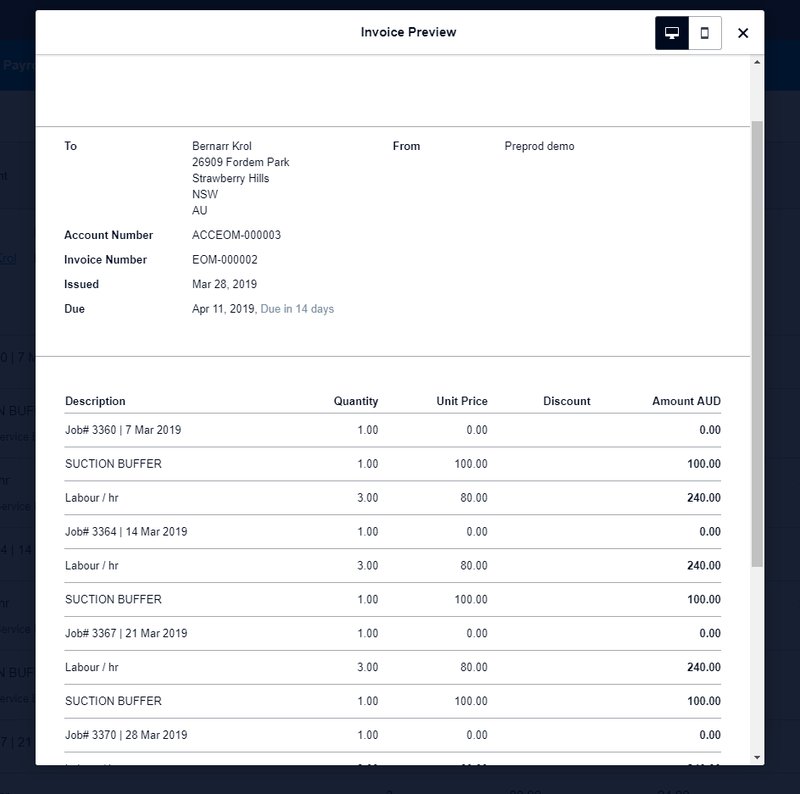 PoolBox connects all the systems you need to run your business including service management, POS, finance, payments and water testing. Click here to learn more about PoolBox. Cirralto is proud to be attending the 2018 BioGuard Leadership Conference in Singapore. Join us for two full days of speakers and demonstrations that will cover subjects which will challenge you to be better and find an increased value for you and your business. Adrian Floate will be introducing the BioGuard InterGR8™ Solution on Wednesday 20th June at 12pm.